While the publishing business in general is in serious flux, certain niches are growth bonanzas. 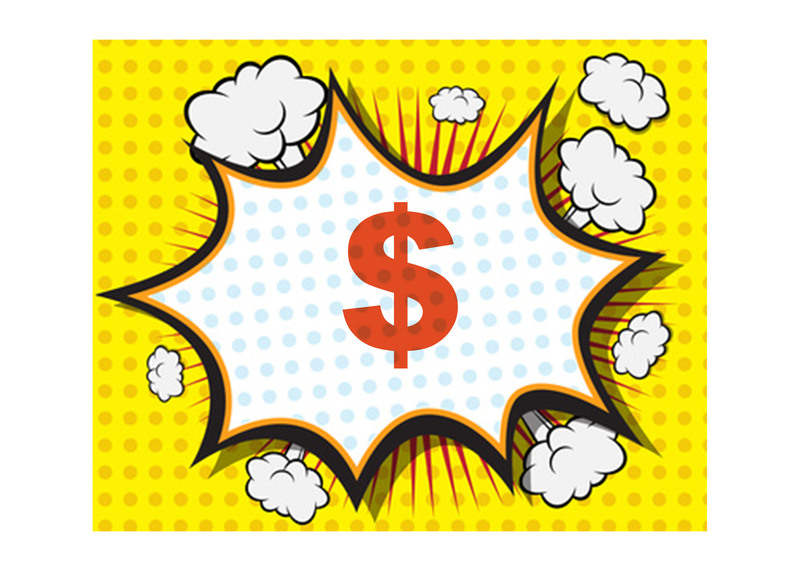 For instance, the comic book industry was worth $1.03 billion in North America alone in 2015. The sector as a whole produces record growth numbers every year. If you want to earn serious money from comics, any of these ideas will bring home the bacon. Naturally, the most obvious way to profit from a comic book is by selling copies of your own. There are a slew of free desktop publishing apps that can handle the production end of the equation. Use a print-on-demand service like Lulu, IngramSpark or Ka-Blam Digital to crank out the actual product. Success stories like Dark Horse Comics prove that the digital model works for comic book distribution when executed intelligently. All you need is a hosting account and the discipline to regularly update content on a schedule. Opt for a hosting plan with plenty of bandwidth that specializes in serving up media-heavy content. While it would take a lot of hard work, determination and perhaps a lucky break to become the next Charles Schultz, you can still earn a healthy income from traditional strips. Make a name for yourself churning out topical comics that address cultural or economic issues. Local newspapers and regional periodicals will soon be willing to pay handsomely for your work. Nowadays, subscription companies that ship out niche care packages to consumers are extremely popular. Dollar Shave Club and Bulu Box are making money hand over fist by curating collections of other vendors’ goods. Offer various packages of comics organized by niche or genre, build a dedicated subscriber list and watch the money roll in. If you’re a talented animator or illustrator, you can make plenty of cash by selling your artwork in other mediums. Framed posters of your creations are an easy way to maximize profits if you’re willing to do a little online marketing. The key is to settle on price points within the reach of potential buyers. The great thing about t-shirts is that they’re some of the easiest products to sell online regardless of the target demographic in question. Graphic t-shirts will sell like hotcakes on sites like Teespring and Etsy given enough promotion. Prime the pump by giving away a few freebie t-shirts to raise your profile. When cared for properly, the average comic is a terrific investment since it’ll almost always appreciate in value over time. Anyone can make a mint in the used comic book market with a little research and planning. Scour the racks at local comic book stores and sell hidden gems at a reasonable markup on eBay. While most comic book fans would love to attend Comic-Con every year, few have the time or money to pull it off. If you don’t have an annual comic book convention in your area, there’s no better time to start one. Rent some convention space at a local hotel and sell tickets online. Truly epic graphic novels and comic strips rely as much on great story writing as they do on amazing artwork. If you’re a good writer with a knack for crafting compelling narratives, teaming up with an artist is a smart move. Come up with a unique story, write the dialogue and have your partner handle the illustrations. In this day and age, even niche podcasts with limited audiences can be highly profitable if they’re monetized properly. All you need to get started is a laptop, a microphone, a Skype account and a passion for comics. You could interview prominent comic creators or discuss trending comic book topics with like-minded fans. With so many comics to choose from, many comic book enthusiasts have trouble settling on a new series to follow. Solve that problem for them by reviewing comics and offering your thoughts on the merits of each. In time, you’ll find that comic book authors will send you their work for free in the hopes of a constructive review. Considering the recent rapid growth of the comic book business, revenue opportunities in this industry aren’t hard to come by. While the ideas covered here are always sure-fire winners, they’re hardly the only options. Do a little brainstorming and you’ll no doubt come up with potential moneymakers that no one else has even thought of yet.